If you have an unused roof in a building or warehouse, or a rustic land that does not offer any benefit, you should invest in installing solar photovoltaic panels and selling all the electricity produced. Sell the electricity generated to the electric company is guaranteed by law. The law requires the electric companies to buy all the energy and to a higher market price. 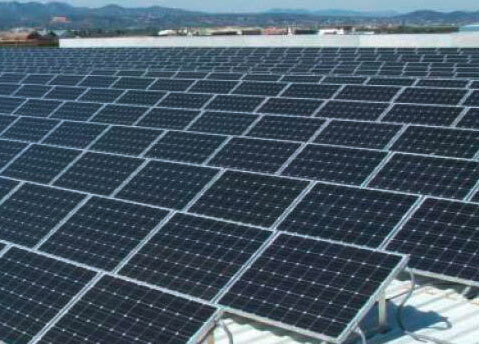 Throughout the life of the PV system, the owner receives remuneration for its investment. Depending on the climatic and solar radiation, solar photovoltaic installations provide their holders yields around 12%. Studies of profitability and viability. Getting the best available technology (modules, inverters, etc) at the best price and with the best warranties. Conduct all necessary administrative procedures. Request all aid and grants available at the moment. Check the conditions of the project design and development according to your needs, deadlines and budget. Avoid disappointment and surprises relying on experts and top professionals. On the other hand if you have a roof that does not give you any kind of return, but do not want to personally undertake the investment in solar energy, you can choose to rent your roof to another investor. If you are interested in what we do, you need our services or you have a query, please contact us.